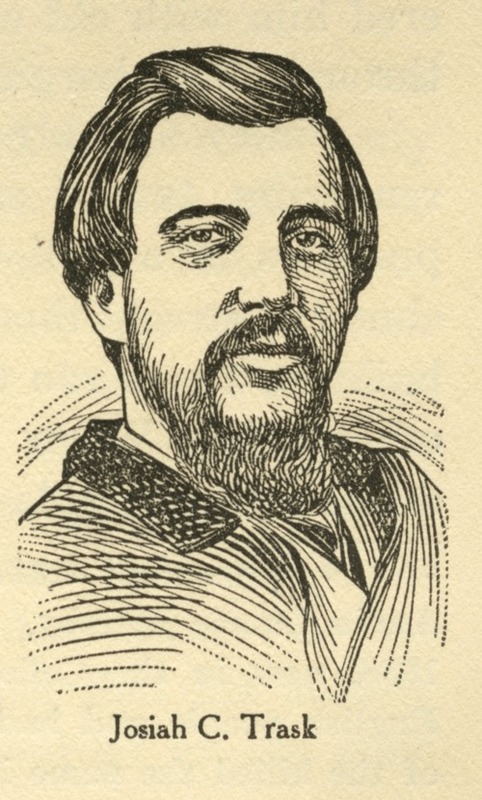 This is an illustration of Josiah C. Trask, copied from Quantrill and the Border Wars by William Elsey Connelley. On August 21, 1863, the day Quantrill raided Lawrence, Kansas, Dr. J. F. Griswold, H. W. Baker, S. M. Thorpe, and Trask were at Griswold's home. When five guerrillas rode to the gate, the men surrendered. The guerrillas promised to protect the men, but as they were being marched to the Eldridge House, the men were shot. Only H. W. Baker survived.